We said our goodbyes and took a taxi to the Maglev (magnetic levitation) train. 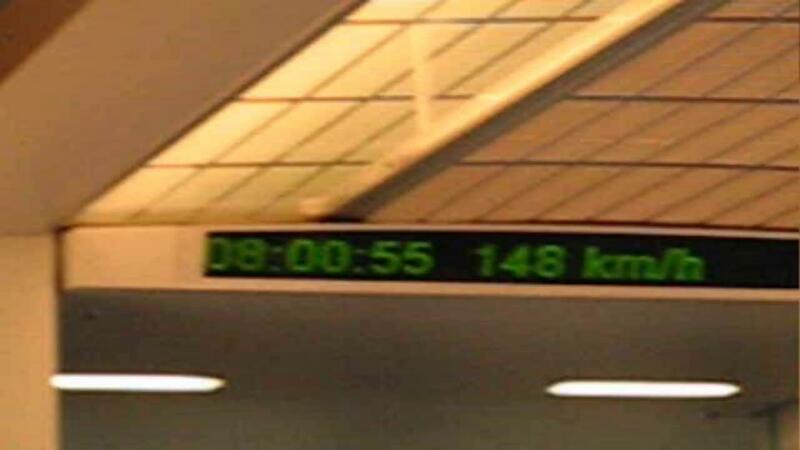 These trains go to and from the airport in seven minutes from the Pudong area of Shanghai. It quickly got up to full speed, 301 kilometers per hour (188 MPH). It doesn't seem like it is going that fast. We got to the airport with plenty of time to spare. My stomach started to feel funny. Our flight to Tokyo went smoothly. Had an hour and a half wait then began the last leg of our fantastic journey. I was sick most of the way on this leg of the trip with an intestinal disorder. Misery. Didn't get any sleep. We arrived back in Seattle a half hour early, went through customs and passport control. Picked up the rental car and got home and went to bed. This was the trip of a lifetime. We got to see and experience things that very few people get the opportunity to experience. The Chinese people were very open and friendly once given the opportunity. They are a reserved and private people but are quick to respond to the first greeting. When there are 1.3 billion people in a country, westerners are a novelty outside of the big cities. The history of the country is unbelievable and they are learning everyday how to improve their preservation of that history. Our hosts were outstanding and our experiences with their family were a highlight of the trip. We thank them and wish them all the best.